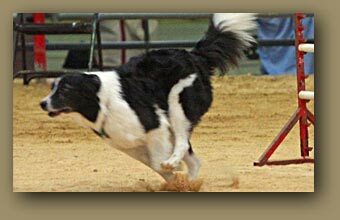 The workaholic of the dog world, the Border Collie is the worlds premier sheep herder, prized for its intelligence, extraordinary instinct and working ability. Medium-sized and athletic, the breed controls stock with stalking movement and an intense gaze known as "eye." 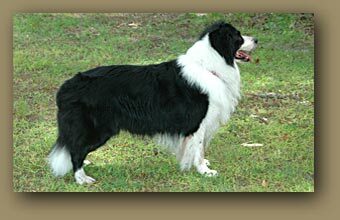 The Border Collie coat can be rough or smooth and includes any color in bi-color, tri-color, merle, sable, or solid patterns. 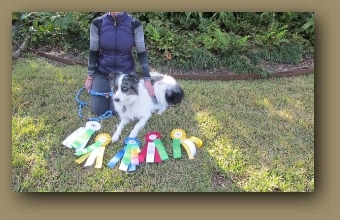 Border Collies are not for everyone. We encourage anyone interested in the breed to do further research. Find out all you can about the breed, ask as many question as possible. There are websites on the internet and published books about this intelligent and energetic breed. Please visit our Resources Page to assist you in learning more about this special breed of dog.